Central Coast born and bred swimming sensation, Bradley Woodward, has recently joined the growing stable of local talent as part of the Coast Sport Ambassador Program. At just 20 years of age, the Commonwealth Games medallist is gearing up to perform on the world stage with the support of the Coast Sport team of highly experienced allied health services providers located in the Mariners Centre of Excellence Building in Tuggerah. Here we get up close and personal with our rising local swimming star, Bradley Woodward and gain insights into what life for a highly committed elite swimmer involves. Why did you first get into swimming? I grew up doing swimming lessons. I really enjoyed the sport and started competing in school swimming. The first year I did it I qualified for the state titles. My passion for racing just grew from there. My two favourite events are the 100m and 200m backstroke. Winning silver in both the 100m and 200m backstroke at the 2018 Commonwealth Games. What are your sporting and life goals? Hopefully to make it to the Olympics, that has been my life long sporting goal. My life goal is to become a physio so that I can continue to be involved in the sport I love so much. What has been your biggest challenge and how have you overcome this? Probably my biggest challenge to date would be breaking my ankle in 2016. A week later I was named in two Australian teams, one for Surf Life Saving and one for swimming. For the next three months I had to juggle my HSC, mending my broken ankle and trying to get fit again so that I could race at two international events only two months after getting out of my cast. What do you like doing other than swimming? I come from a surf lifesaving background, so I quite often head down to the beach and do some training with my old surf club, Shelly Beach. I also don’t mind hanging around at home watching a bit of TV. What keeps you motivated to get up early and train? I think a constant pursuit to better myself. Every time I race I know there are things that I could have done better so that always drives me to get up early in the morning and put my best foot forward in training. I have two. My first is Ky Hurst because he come from the Central Coast and not only dominated in Surf Life Saving for years but also made two Olympic games in swimming. My other is Aaron Piersol, who is arguably the greatest Backstroker in history. How has Coast Sport helped your sporting journey? Coast Sport has helped me over the years to constantly maintain my body. 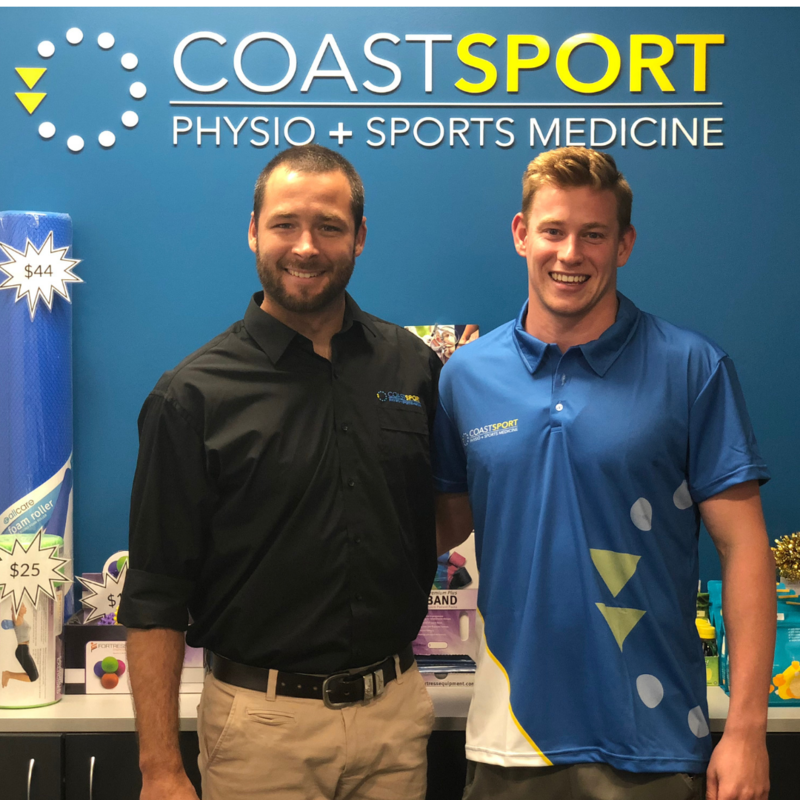 Brett Doring (Director and Principal Physiotherapist at Coast Sport) was a massive help in 2016 when I broke my ankle and I can honestly say that if it wasn’t for Coast Sport I probably wouldn’t have been ready to compete only a few months after breaking it. What advice would you give to up and coming athletes? I would say that patience is key. It seems hard sometimes looking forward at your goals knowing they are years away but if you constantly work hard and be patient eventually you will achieve them. Describe a typical day for Bradley Woodward? A typical day in my life is waking up at 6am and getting to the pool around 6.30. I will do dry land work for about 30 minutes and then train from 7-9am. I’ll then head home and have breakfast. For the next 5 hours or so I will do anything that I need to do and probably have a little nap as well. I’ll head back off to the pool at around 2.30pm and start either gym or Pilates at 3pm depending on the day. I’ll then train in the pool from 4.30-6.30. I then head home and have dinner at around about 7.30-8pm and I’ll be in bed by about 9.30. Could you be the next Coast Sport ambassador?